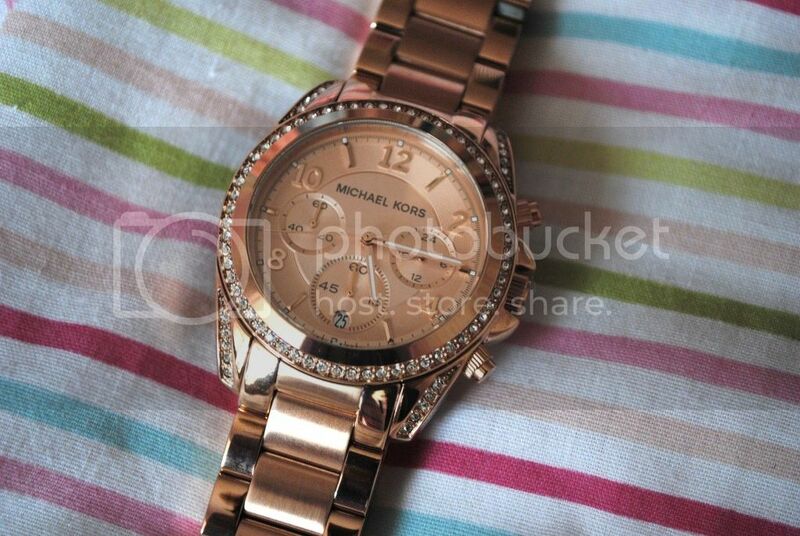 To be perfectly honest, I've never really had a fancy/posh/expensive watch before. I recall my first watch being a plastic Lion King affair; I adored that watch, even though I think it was most probably an Argos special and didn't cost much more than a tenner. Obviously, I've grown up since my Lion King days (ahem) and have moved on to bigger and better things. Okay, so, for the past ten or so years I've relied on a multitude of £20 River Island watches, which I thought were perfectly acceptable (River Island DO do some lovely watches) but recently I have been craving a little luxury. Enter Michael Kors. 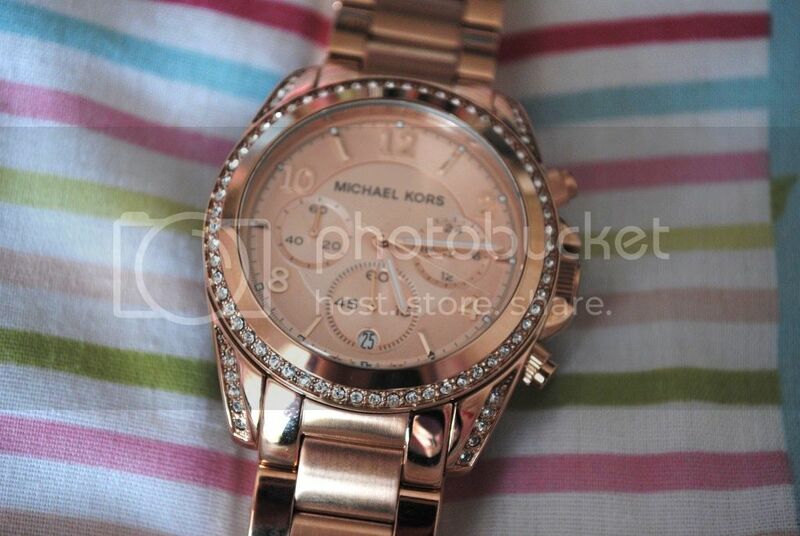 I know, I know, every blogger and her mother has a Michael Kors watch, but I just had to join the club. Not because every blogger has one - but because these watches are simply stunning and I needed some rose gold magnificence in my life. Seen as I don't have £200 casually lying around to spend on a (let's face it, pretty indulgent) watch splurge, my parents treated me to it for getting a 2:1 in my English degree (whoop whoop - points mean prizes!) and I absolutely adore it. I chose the MK5263 (I think anyway, talk about confusing numbers!) watch after trying on a few, to be honest I'd always had my eye on this one (come on, it has pretty crystals round the edge - gotta love a bit of bling) and decided on it in the end. I got it from House of Fraser, which luckily do 10% student discount so it came to a slightly-less-scary £179.99. I love wearing it SO much, there's something about wearing something expensive that makes you feel a little luxurious! 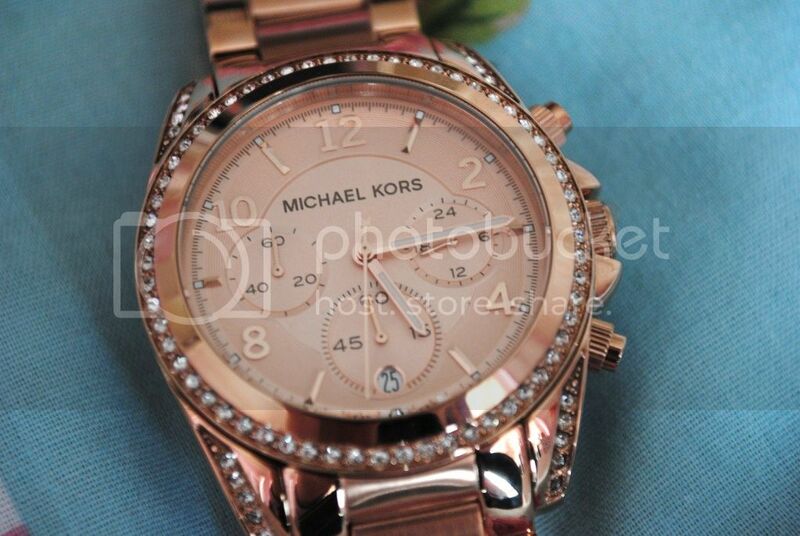 What do you think to Michael Kors watches? Do you have one?